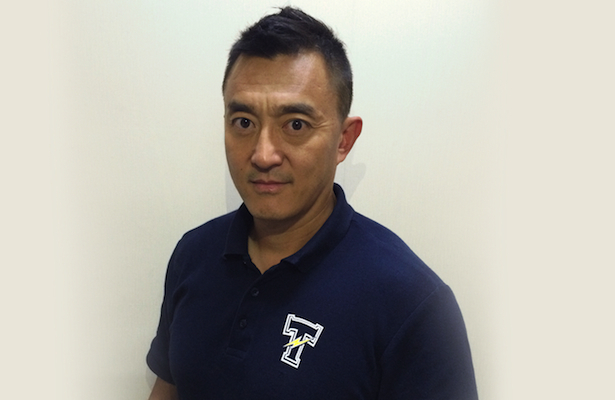 Arena Football may be new to China but it’s become a way of life for Shenzhen Naja assistant coach Datong Wang. Wang was born in China and started playing football as a 12 year old when he moved to the United States. He played high school football in Hawaii and remained a fan of the game while attending the University of Illinois. After receiving his MBA from University of Hawaii in 2005 he returned to China. Seven years later it was back to tackle football with The Shanghai Warriors. In 2013 he moved on to form the Shanghai Titans American Football Club as a player and a coach. Now he can’t wait to see how the China Arena Football League will be received. Wang has also made a successful transition in to television as an NFL color commentator. After working with SINA.com in the 2008-2009 season, he filled the same role for the next five seasons with PPTV. There he had to be objective. Now he admits he might be a little more biased working with Shenzhen. Wang will be the first to tell you that there is much to do as his team prepares for the upcoming season, but he still tries to find time to follow one of his favorite past times, football of course.